A rich, complex combination of cacao varietals that is further enhanced with a blend of pure cacao, resulting in a warming flavor with hints of spice notes. 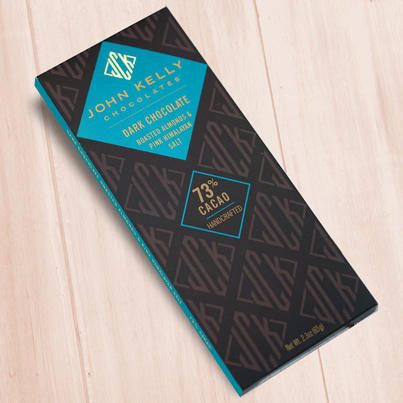 The delicate Fleur de Sel sea salt provides complexity, enhancing and elevating the chocolate to something that approaches nirvana. 73% cacao content. Vegan.